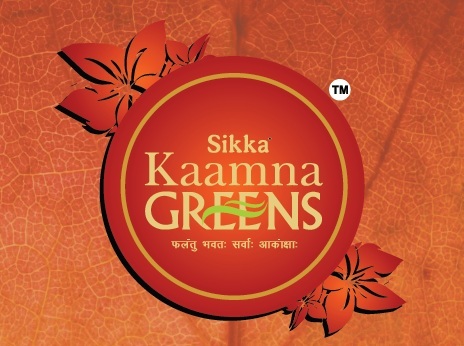 Some of the brilliant real estate projects completed by Sikka Group are named as Sikka Kaamna Greens, Sikka Karmic Greens, Sikka Kaamya Greens, Sikka Karnam Greens and much more. These projects are highly admired by the industry’s experts for brilliant construction and modern designs as well. Over the three decades of establishment, Sikka Group has been acknowledged as a powerful real estate builder among the competitors in the industry. The giant is happy to built a wide range of homes for several families and make them contended to get their dream villas to live life fullest. The company develops ultimate spaces and luxury villas for home seekers and allow them to live life king size. Sikka Group is a Delhi NCR based real-estate development organization well known for his innovative master-planned project and best value for money. This three-decade-old group has transformed the real-estate sector with his specific business approach and becomes one of the fastest growing developers in north India. Sikka Group offers exclusive housing solutions to the different buyers categories with very diversified product options and price ranges. Besides having an outstanding residential development track-record group has an impactful presence in the commercial property development and hospitality. The group is dedicated to creating sustainable, luxury housing space for the better tomorrow which is able to fulfil the aspiration of homebuyers. The motto Promising a better tomorrow, a better life perfectly suits the business concept, achievements, and brand image of Sikka Group. Here, the main focus lies on creating an ideal balance of cutting-edge technology and nature for their development. Placing a great emphasis on operational efficiency and trustworthiness is able to create value for money products that ultimately make the customer happy. Promotors at Sikka Group envisage a future where they will create matchless spaces enriched with luxury, status, world-class design. Always able to exceed the customer expectations by providing their dream homes is surely an uphill task in today highly competitive business environment. Sikka Group maintained a significant presence in Noida with iconic residential projects like Sikka Kaamna Greens, Sikka Karmic Greens, Sikka Kaamya Greens, Sikka Karnam Greens. All these projects located at the prime real estate hubs like Noida Extension, Noida Expressway, Noida Sector-78, 79, 75, 143, Ghaziabad and rest of NCR region. Other housing projects are Sikka Kimaantara Greens, Sikka Krissh Greens, Sikka Kimaya Greens, Sikka Kingston Greens, and Sikka Kannan Greens. At present, Group has approx 6 million sq.ft project in hand out of which 3 millon sq.ft planned to complete in current financial year. For future projections, Sikka Group already set an ambitious goal to build about 15 millio sq.ft in next three years. During the course of last three decades Sikka Group transformed into a top-league conglomerate by strengthening his core business and making foray into other emerging sectors. Creation of internatonal-standard architectural landmarks with futuristic facilities helped them to establish in the elit-league thus generate value for investors and stakeholders. Sikka also, made an excellent gowth in hospitality sector with the plans of development and operating 5-star luxury hotels, service apartments, butique & business hotels. Right now, group engaged in developing Sikka Kapital Grand- Crown Plaza and Fern Residancy. While, the Sikka Kapital Grand- Crown Galleria is a commercial venture. Sector 10 Greater Noida West 640 - 1930 Sq.ft. Sector 79 Noida 1355 - 1555 Sq.ft. Sector 143 B Noida 590 - 1920 Sq.ft. Sector 143 Noida 650 - 2075 Sq.ft.